How adorable are they?! We are honored to share their special day here on The Little Canopy! 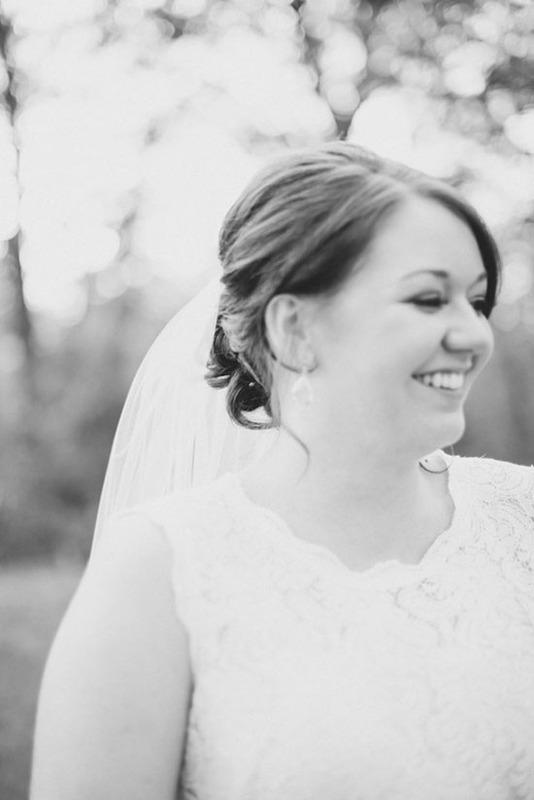 Ashley, the bride, told us their story and it just swept us off our feet. Take it away, Ashley! Ryan proposed mid-January and we knew from the start we wanted a short engagement. We started looking at venues, picking out the bridal party, contacting the vendors,… and we quickly realized it was going to be a daunting and expensive task. Neither of us liked the idea of spending a lot of money on our wedding, while also exhausting us in the process. Ryan is also not the biggest fan of weddings. 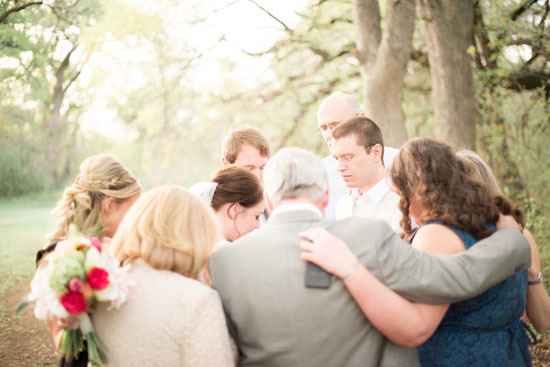 We decided (pretty easily) that a traditional wedding just wasn’t for us. 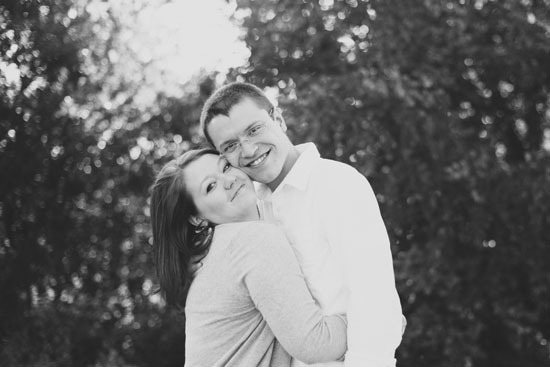 Fortunately, we had already met Hannah, our awesome photographer, and taken some engagement photos. We decided to simply just get married in the park with only our immediate family. 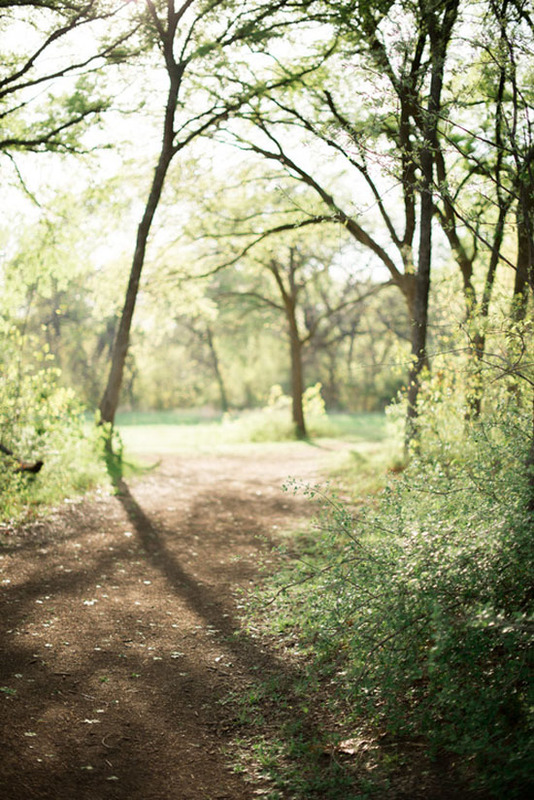 We were married in Breckenridge Park in Richardson, Texas, a location that Hannah found herself. 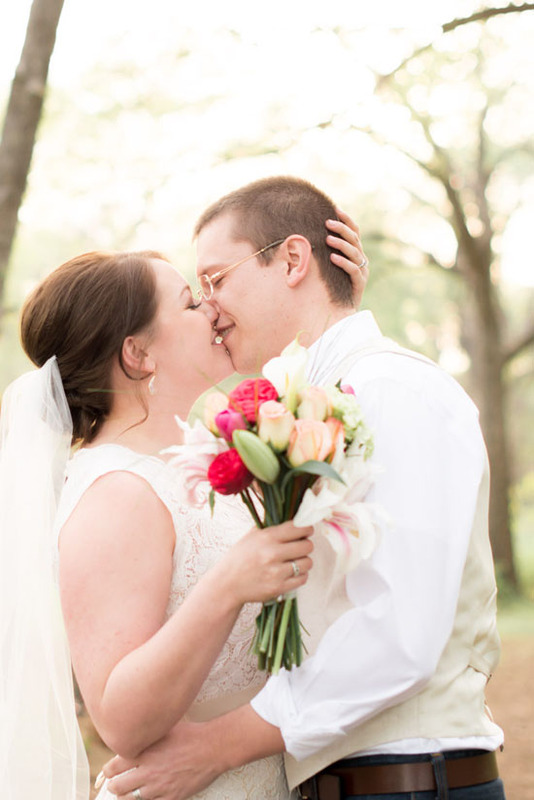 We sent her some pictures of what we liked, and she said, “I know the perfect spot!” We trusted her so much, we never visited the location before the wedding itself. My dress is actually a Watters Bridesmaids gown that I ordered in white! Creative, right? 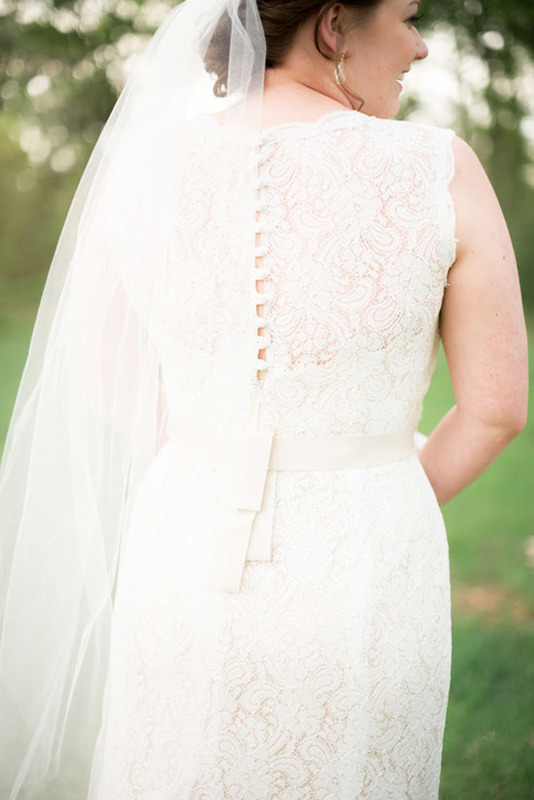 I found the dress at Stardust Bridal in Plano, Texas, and I thought it had enough detail to be bridal, but also casual enough to suit an intimate wedding. My big sister, Lindsay, was married two weeks (yes, two weeks) before my wedding, and my “something borrowed” was her veil. It was my favorite part of my outfit. Every bridal gown is made complete with a veil. Ryan knew he wanted to be non-traditional in his attire, so he decided to wear jeans with a vest. He did invest in a nice pair of jeans from Nordstroms, as well as a nice vest and new white shirt. I was happy to let him wear whatever he wanted, and he loved his look. The flowers were put together by an awesome florist at Whole Foods in Addison. We simply told them to throw something together for the bride and the maid of honor, and be as creative as you’d like. Way to go, Rodney! They were so beautiful, smelled perfect, and looked amazing. 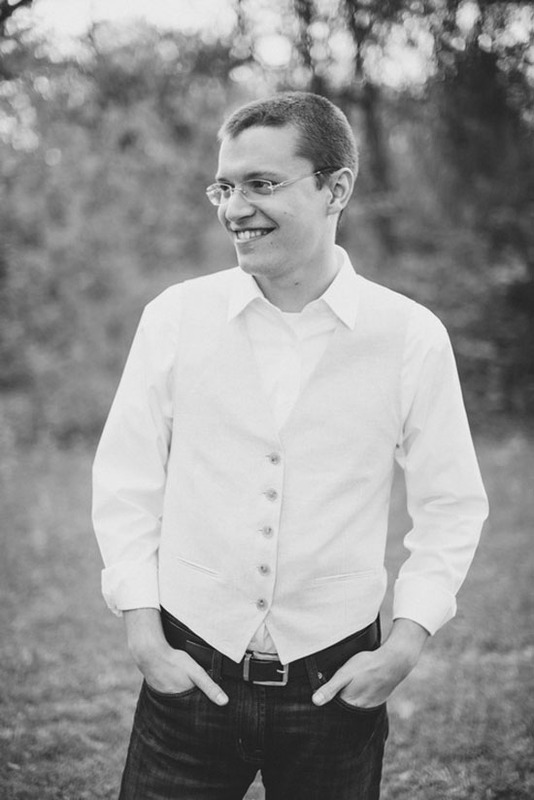 My brother-in-law officiated the ceremony, which was another amazing part of our wedding. Michael wrote a great speech and was able to speak into what he had witnessed in our relationship. 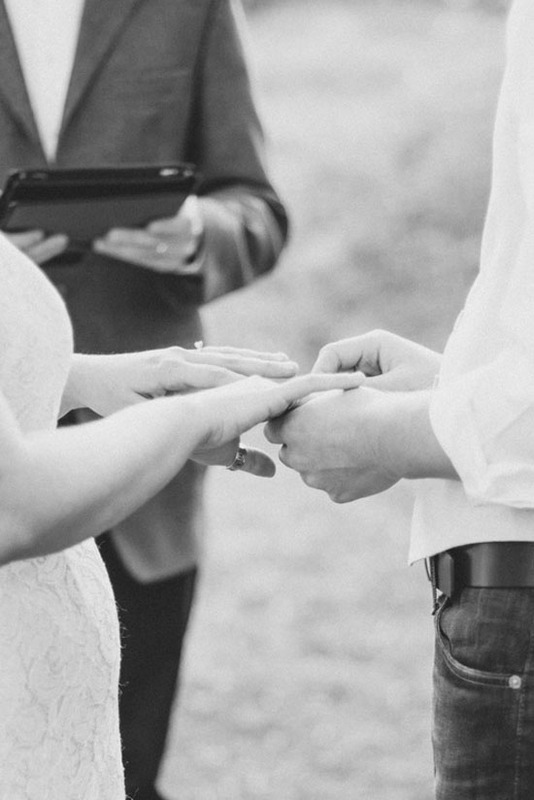 Our family came around us at the end and laid hands on us, and prayed for our new marriage. 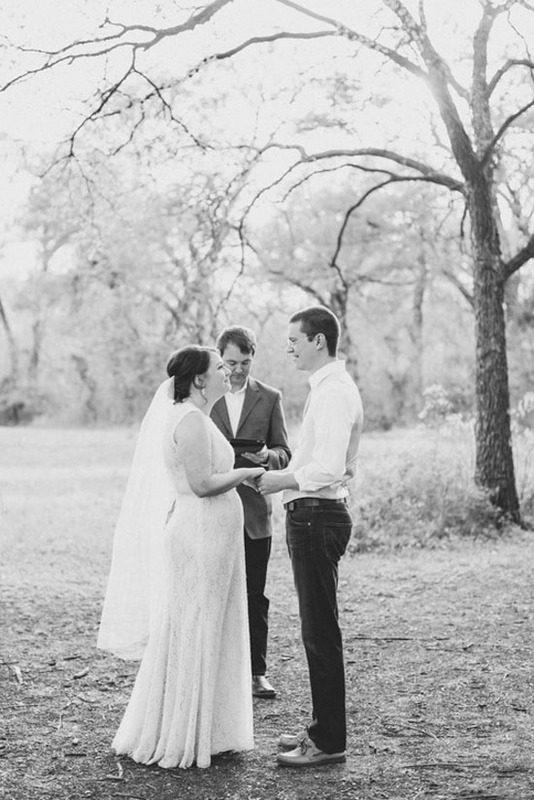 It was the perfect, small, intimate wedding we had pictured for ourselves. 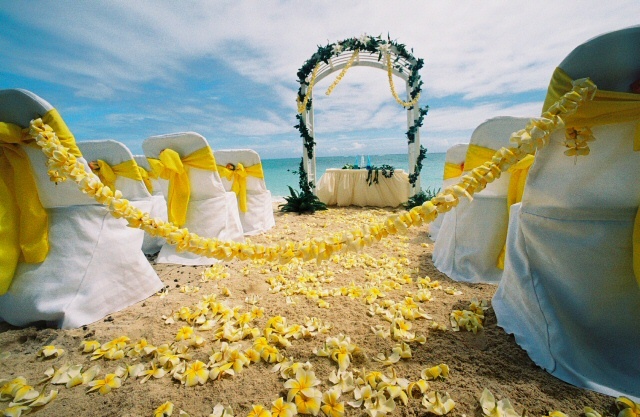 My advice to brides is that all weddings are beautiful, but don’t let the world tell you what kind of wedding to have. If you want 500 people at your wedding, do it. If you want 5 people at your wedding, do it. I can tell you that my stress went down, and my joy went up when we decided to cut the guest list and focus on our families. 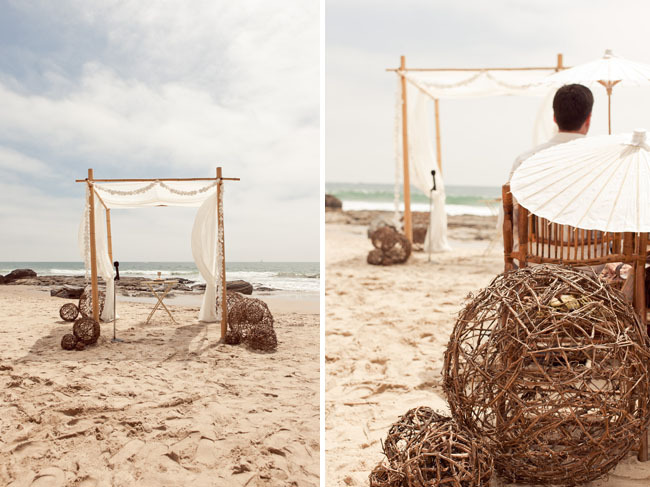 You can be more creative when you have an intimate wedding. The “traditional” goes out the window, and you will be able to create something completely unique for you and your groom. I did not get “wedding-ed,” I got married to the man of my dreams, and it is so much more important that we focus on what our marriage looks like, over what our wedding looks like. 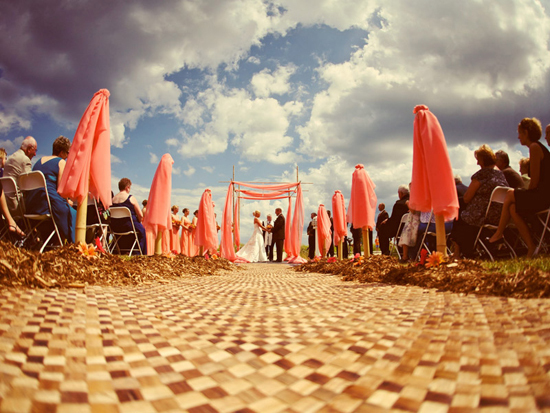 Your wedding day will come and go, and you will hardly remember it. Take the time to focus on the months and years that lie ahead, and let that be your focus. Ryan and I are both committed Christians, and we wanted our wedding and marriage to reflect Christ. 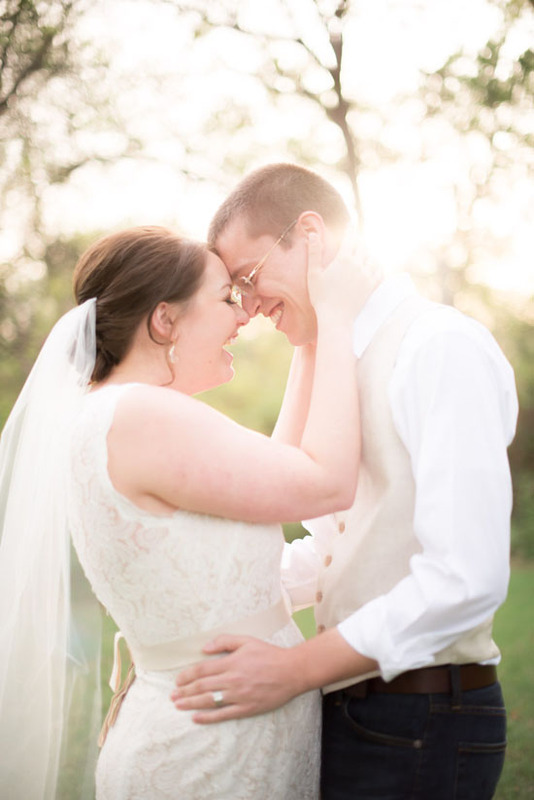 We wanted our ceremony and the cost of our wedding to also reflect Christ, in that we are good stewards with the money He has given to us, and that our ceremony was constantly pointing to Him. 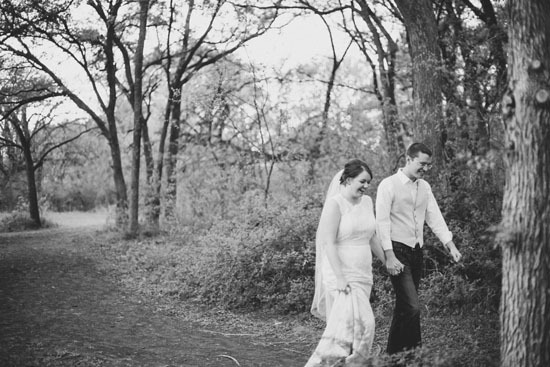 We love that Ashley + Ryan took the route that was right for them! It’s so refreshing to hear a story that encourages us to remember that the wedding is just one day, but the love you share in marriage is a lifetime. Congratulations, Ashley and Ryan! Oh, how romantic! 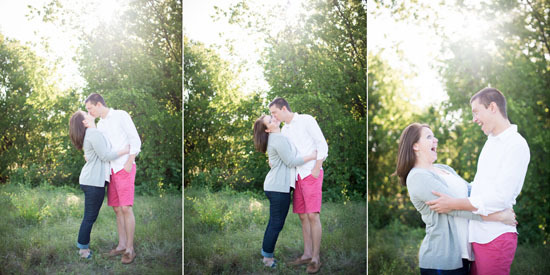 Loving this beautiful engagement photo! A sweet kiss in the middle of the canyon – epic! See more photos from this gallery! 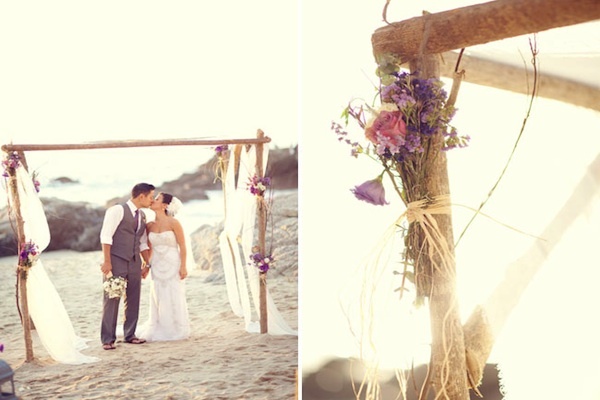 Inspiration Monday this week goes to this beautiful backdrop! 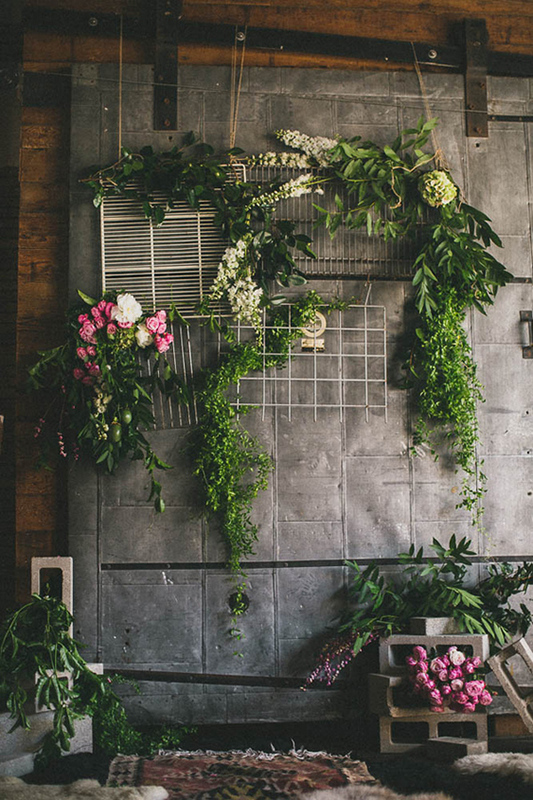 Layers of industrial textures with bundles of greenery and flowers – romantic! 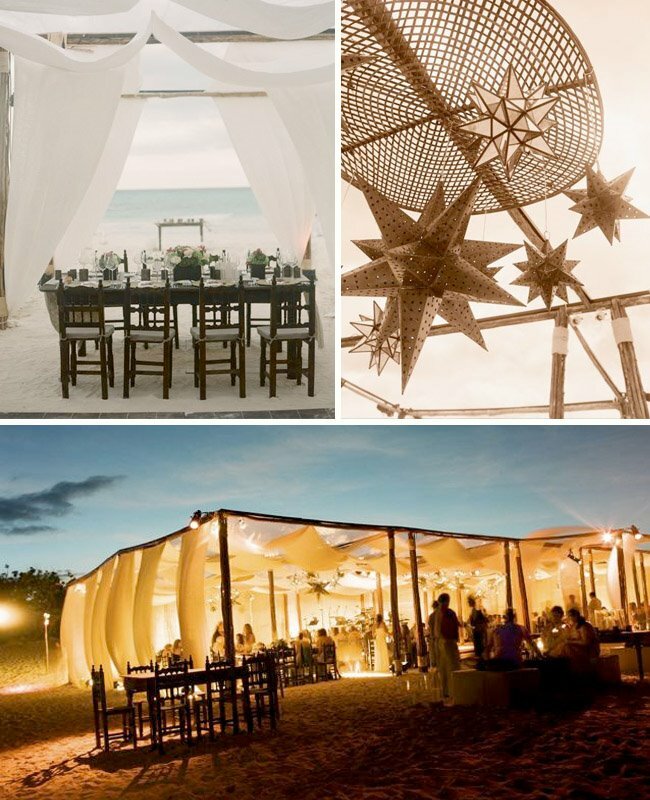 This would be great for any outdoor industrial weddings! See the rest of this inspirational gallery here! 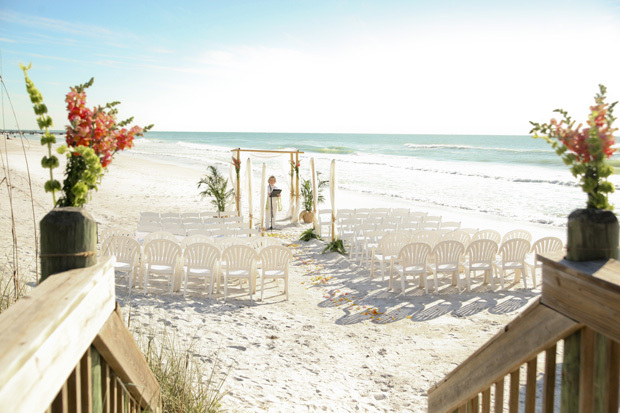 I was raised from childhood through college near a beach, so naturally I imagined getting married on a beach. When it was time though, it didn’t pan out as I hoped. 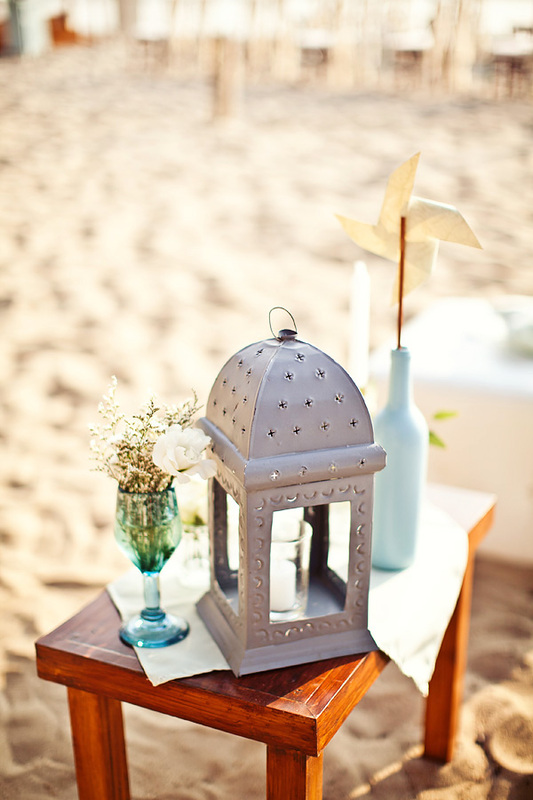 When I weighed my wants to have a intimate beach wedding vs having lots of people to come bless us, unfortunately the later argument won. Plus, there were no beach around where I am now, so the flights, hotels, transportation would not have fit in my budget. 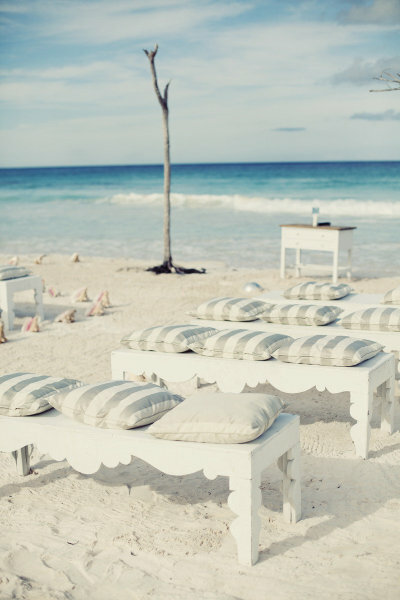 Nevertheless I love looking at beach wedding photos. 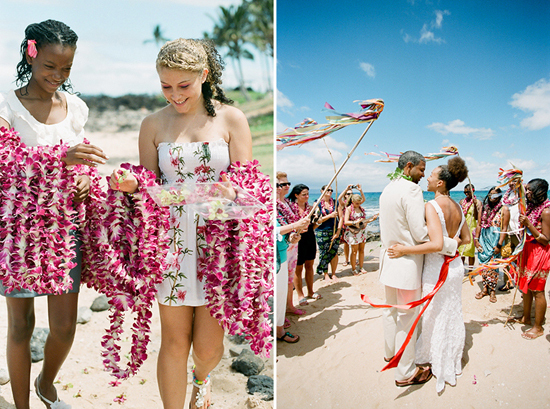 So much warmth and love, who doesn’t feel like celebrating at a beach? 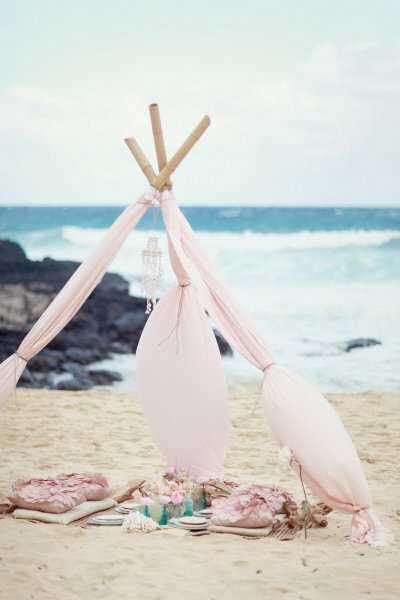 I love how little you need to decorate a beach wedding. The turquoise ocean contrasting with the bright diamond sand does pretty much everything. I like it all white, or maybe a pop of coral color for great photos. 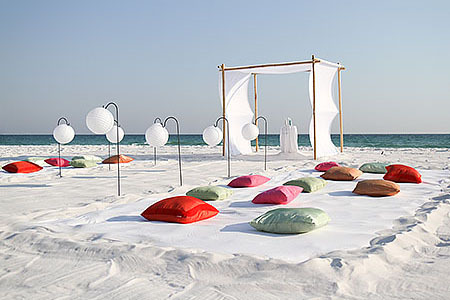 I would hand out flip flops to all the guests as the favor, have floor cushion seating so they can dig their toes in the sand, have kids build sand castles, have fabric wrapped altar that’s blowing in the wind, and maybe a mini wedding dress with birdcage veil. 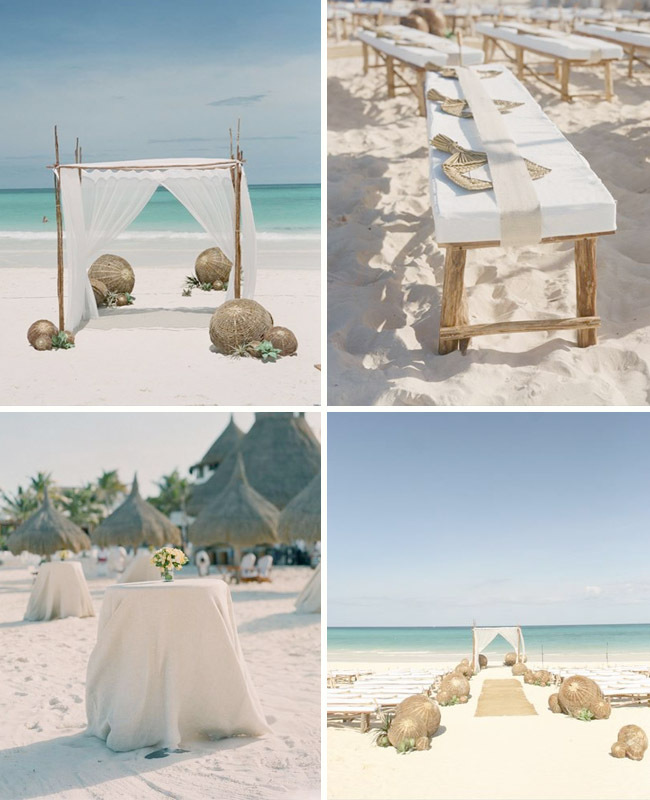 Beach weddings.. definitely worth thinking about!